3 - 95 Oliver Plunkett Street, Cork, Ireland. Watches, jewellery or Diamond Rings. Jewellery, Diamond rings, watches, earrings, necklaces and much more. Expert Jewellers & market leaders since 1979. Appleby Jewellers offers contemporary Irish jewellery for all price ranges. There range includes diamond rings, earrings, necklaces, bracelets and pendants. They design and created their own jewellery on their Dublin workshop, including bespoke diamond engagement rings. Specialises in Celtic jewelry including History of Ireland jewelry. Celtic Irish jewelry including Irish wedding rings, Celtic bands and crosses. 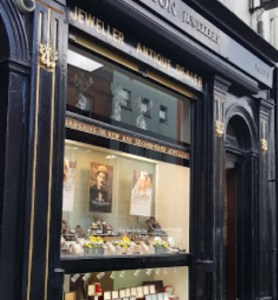 Dublin jewellers established in 1916. Specialists in diamond rings, engagement rings, & wedding rings. Free delivery across Ireland. Free delivery worldwide for orders over €500. 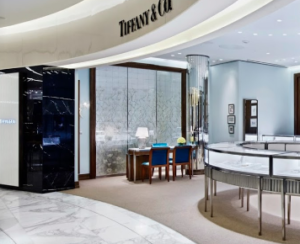 Luxury American jewellery retailer known for fine jewellery, china & silver, plus wedding registry. 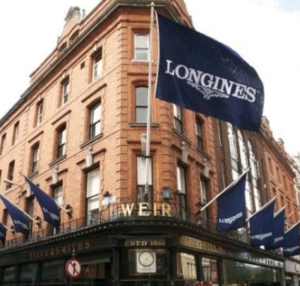 With stores in Grafton Street and Dundrum, in the heart of Dublin, are Official retailers of Patek Phillipe and Rolex. Retailers of fine diamonds and other fine jewellery. Free Irish delivery when you spend €70 and free international shipping on orders over €100. Located in the heart of Galway city on the corner of Shop Street & William Street. Sells Watches, jewellery or Diamond Rings.